Only the GX 460 Luxury trim level includes the height-adjustable Adaptive Variable Suspension system. For an old-school SUV, the Lexus GX acquits itself quite well. Underneath its sharply-styled body and high-end interior, the Lexus GX 460 hides a utilitarian frame and a suspension shared with the foreign-market Toyota Land Cruiser Prado. Why's that important? The Prado, which is unrelated to the Land Cruiser sold at Toyota dealers in the United States, is a serious work truck designed for farmers in Australia and peacekeepers in Somalia. That helps explain some of its compromises—but despite its high step-in and quirky tailgate, the Lexus GX 460 does a lot of things very well. The GX is available in base, Premium, and Luxury trim levels. For 2017, the GX largely stands pat after a facelift a couple of years back. A new sport styling package is on the options list, but it seems at odds with the GX's go-anywhere personality. The GX recently received the brand's "spindle" grille design, which looks great on its sedans but has had a tough transition into the world of SUVs. It's a little awkward from the front, while the clear tail lamps at the rear don't do it any favors. Things are better inside, where the most recent redesign cleaned up the instrument panel a bit. Though there are a few more rugged interior bits, for the most part everything inside looks price-appropriate. With its low running boards, chrome trim all around, you might not expect the GX 460 to be a serious rock-crawler. In that, you'd be right, but it's also definitely more than another off-road poseur. This tough body-on-frame 'ute has low-range gearing, as well as a host of electronic aids that will help you maintain control in various conditions, and a true center differential lock that you'd use for sand, mud, or snow. The full-time four-wheel drive system includes a Torsen center differential, distributing power 60 percent to the rear wheels in normal driving, with more sent to the rear wheels during acceleration (not just when a wheel slips), so its deft on snowy driveways, too. It lacks some of the off-road goodies of the Prado and its low-hanging front bumper is likely to get snagged on rocks when the going gets seriously rough, but overall the GX retains more capability than most SUVs on the market. Anyone who's driven a true body-on-frame, truck-based SUV like the GX before will probably feel right at home in it. With a 301-horsepower V-8, it accelerates from 0 to 60 mph in 7.8 seconds, which is slow for a V-8. The 6-speed automatic transmission provides quick, smooth shifts, so at least there are no flat spots in the power delivery. The standard Kinetic Dynamic Suspension System is a mixed blessing. It helps keep the vehicle level in corners and in precarious off-road situations, but occasionally the suspension exhibits the odd characteristic of being too stiff yet boasting tires too soft to ride well over certain bumps. The cabin is quiet, as a Lexus should be inside. 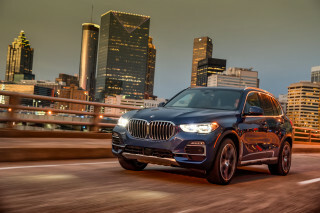 Light, long-ratio steering and a soft brake pedal enforce the idea that it's a traditional SUV at heart, which is fine as long as you know what you're getting into. 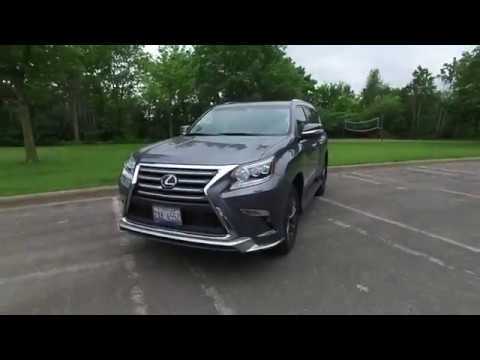 Lexus GX comfort, safety, and features. A commanding view out the front windshield comes courtesy of a seating position that's high relative to the window line. Well padded, supportive seats combine with plenty of headroom and legroom to make this a really pleasant place to be. The second row is roomy, too, but the third row is small, impractical, and hard to access. And let's not forget about the side-opening hatch, which is hinged to the right (a reminder that this vehicle was designed for right-hand drive countries like Japan, Australia, and South Africa). It'll always be in your way if you're unloading the vehicle against a curb. Despite the truck roots of the GX 460, Lexus has equipped it with all the common convenience and luxury features, and the Premium grade steps up to the rich infotainment features and tech extras. Parking assist, a 330-watt Mark Levinson surround-sound system, and a rear-seat entertainment system are among the extras. So are two different safety-tech packages that together can bring a forward collision warning, driver attention monitor, adaptive cruise control, automatic high beams, crawl control, lane-departure warning, and a surround-view camera. The navigation system that's available in the GX comes with the Enform suite of services, including operator-assisted destination searching. Surprisingly, however, the base trim level's seats are outfitted in synthetic, rather than genuine, leather. But at around $52,000, the base GX is fairly inexpensive for what it is. Though it hasn't been crash tested by either the IIHS or the NHTSA, the GX comes with the expected safety gear like eight airbags and anti-whiplash head restraints. 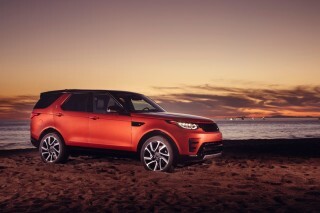 Automatic emergency braking is on the options list, but only for the range-topping Luxury trim level. There's no bigger reminder of the car's truck roots than its gas mileage. The GX 460 manages just 15 mpg city, 20 highway, 17 combined on premium fuel. We're not sure that Lexus' signature front end really works on the GX, but its interior is nice. Beauty is in the eye of the beholder, but we haven't met too many people enamored with the Lexus GX's styling. It's awkward, at best, but we do at least applaud Lexus for trying to make it stand out from the crowd. 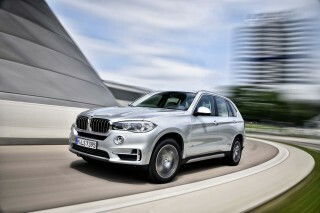 Up front, there's no escaping its "spindle" grille front fascia, which dominates the SUV's front fascia. It's blended with the rest of the GX better here than in some of Lexus' other models, which gives it a sculpted and solid look. From behind, it's more conservative—and cleaner—with its tall taillights and wide design. In profile, the GX is decidedly truck-like, thanks to its imposing beltline and carved-out fenders. "Tough premium" is the way that Lexus refers to the interior. It mixes the expected chunky trim and bulkier door handles of a truck with soft, luxurious materials. The instrument-panel design is quite upright and has a horizontal-bar theme running its length—assuring a sense of toughness—though inside, the look and layout are somewhat more upright than other Lexus cabins. There are some reminders, like the chunkiness to its controls, that the GX is a dressed-up Land Cruiser Prado, but overall it feels properly upscale—if a little old-wrold. 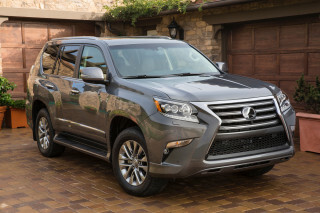 If it's a pillowy soft ride you're after, the Lexus GX delivers. For a relic of the past, the Lexus GX actually rides and handles way better than you might expect. Its ride quality is soft and it smothers even the biggest potholes with aplomb—and it'll go well into the woods if called upon. The GX 460 is motivated by a 4.6-liter V-8 that produces 301 horsepower. It accelerates willingly from 0-60 in 7.8 seconds, but that number that is more appropriate for a V-6 than a V-8. 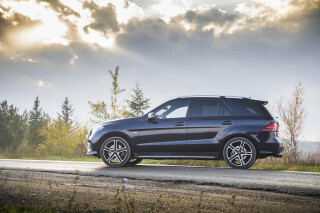 That engine is mated to a smooth, quick-shifting 6-speed automatic. The GX 460 comes standard with a Kinetic Dynamic Suspension System (KDSS), which hydraulically links the front and rear stabilizer bars. It serves two roles: Off road, it allows wheel articulation while helping press down on the opposing wheel to maintain contact, while on-road it minimizes body roll. This same system is included on the Toyota Land Cruiser and is optional on the Toyota 4Runner. Although most of the time we like the flat cornering that KDSS allows, it has a knack of leading you to believe its tall tires have more grip than they really do. In any case, the GX feels surprisingly comfortable on a twisty road at a moderate pace. However, the steering lacks road feel, has an artificial weighting off center, and responds slowly, providing a constant reminder that the GX is more traditional SUV than nimble crossover. The spongy brake-pedal feel is also one of the least appealing aspects of the GX 460. 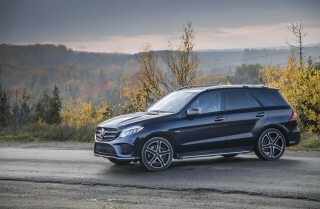 The ride quality is good, regardless of whether or not you spring for the adaptive suspension that comes with the range-topping Luxury model. Then there's the off-road ability, which may not be explored by most owners but is certainly worth a mention. Considering the GX 460's Lexus badge, you might not expect it to be a serious rock-crawler. It's not quite a Jeep Wrangler, but the GX is a lot more capable than most buyers will realize. The full-time four-wheel-drive system includes a Torsen center differential and distributes power 60 percent to the rear wheels in normal driving, with more sent to the rear wheels during acceleration. There's also a low range for this tough body-on-frame 'ute, a host of electronic controls that will help you maintain control in various conditions, and a true center diff lock that you'd use for sand, mud, or snow. Among the most noteworthy of the GX's electronic tools is the available Crawl Control, which micromanages momentum over the toughest terrain at crawl speeds between 1.0 and 3.7 mph, selectable in five increments. At its core, the GX shares much of its fundamental strengths with the related Toyota 4Runner. However, the 4Runner's body allows for improved approach and departure angles, making it the obvious choice for those who regularly want to go off-road. Comfortable front seats and beautiful attention to detail dominate the GX's interior. Feeling like a proper Lexus inside, the GX is refined, well-built, and comfortable. As long as you're not in the third row. If there's an old-world feel to the GX's demeanor, it's no more obvious than in its interior. And that's no bad thing. The look and feel of the interior appointments is top-notch. The controls feel better designed and less cluttered than those in so many rivals that overwhelm with complexity. We also love the steering-wheel controls, the legible gauge layout, and the cleanly laid-out center-stack for audio, climate, and navigation functions. There's something to be said about real buttons that are easy to locate. Base models feature synthetic leatherette upholstery that's mostly convincing, but you'll have to step up to the Premium model to get proper hides and real wood. The seating position is high relative to the window line, at least compared to other new vehicles, so there's great outward visibility. The front seats are nicely padded, with excellent support as well as good head room and leg room. The second row is very roomy, too, and it's not only split, but it slides fore and aft to adjust leg room and aid entry to the third row. But that's not to say that row three is very good. It will leave even teenagers with their knees pressing into the seat back. Head room doesn't impress back there, either, and the seats can't be removed. Their power-folding mechanism also occupies a lot of space, which prevents the cargo floor from being flat and low for easy loading. Moreover, the awkward side-opening hatch opens to the wrong side for easy curb loading; it makes more sense if you're driving on the other side of the road, as they do in Australia where Toyota sells a lot of Land Cruiser Prados. In fact, a lot of the Lexus GX makes sense if you consider that driveways in America weren't its originally intended destination. The GX hasn't been crash tested, but it offers many advanced safety items. While the Lexus GX 460 includes a number of high-tech safety features as standard equipment, it hasn't yet been crash tested by either of the agencies that conduct such measures. In addition to the usual stability control and anti-lock brakes, the Lexus GX 460 includes 10 airbags, including front side, rear seat side, and three-row side-curtain bags, plus knee bags for both front occupants. Active front head restraints also enhance rear impact safety. Safety Connect—a navigation-based roadside assistance system—is standard, and the GX 460 is available with a few features that might actually help avoid an accident. A forward-collision warning primes the braking system for emergency braking and uses a driver monitor system; it's packaged together with a Driver Attention Monitor, adaptive cruise control, and lane-departure warning, which buzzes to warn the driver if the vehicle strays out of lane markings. 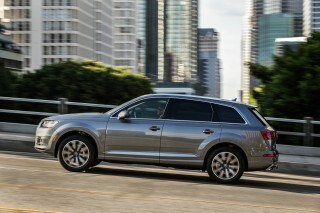 Also available are blind-spot monitors with rear cross-traffic alert and automatic high beams. Here's the bummer: those features are relegated only to the range-topping GX 460 Luxury, and even then they're bundled in a package that costs more than $4,000 and is considered a special order feature. Given that Lexus parent Toyota has otherwise committed heavily to making these features standard on its lineup, the GX seems like an afterthought. Unfortunately, with thick rear pillars, the blind spots are substantial, leaving you to double- and triple-check when changing lanes. Thankfully, a rearview camera is standard, and a surround-view camera system is available. The base GX is somewhat stingy, but there are many options available and Lexus dealers are traditionally top notch. 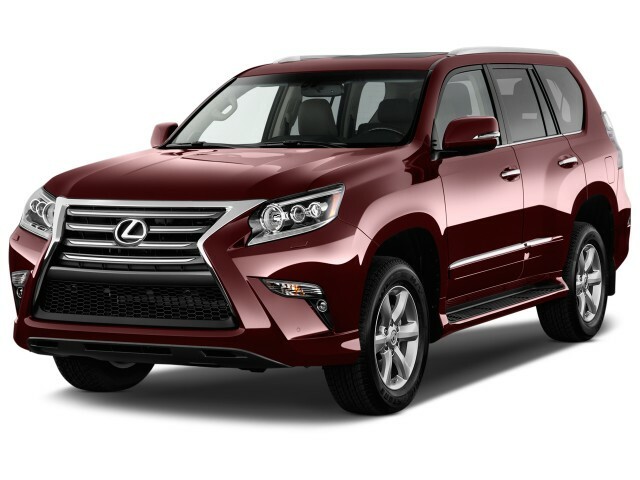 At this price, we would expect a few more standard features on the base model Lexus GX, but there's plenty of room for customization and there's always the pampering Lexus dealership experience to consider. Three models are on offer: base, Premium, and Luxury. For the most part, the base model is nicely-equipped, even though it lacks leather seats and navigation. Still, you'll get LED headlights, 18-inch alloy wheels, a moonroof, a backup camera, 10-way power-adjustable front seats with memory for the driver's seat, a power tilt/telescoping steering wheel, and an 8.0-inch touchscreen audio system. For 2017, the base GX 460 adds heated and ventilated front seats to its optional equipment list. Carryover options include navigation, a blind-spot monitor with rear-cross traffic alert, and a host of apps bundled under the Enform banner that include the ability to control certain vehicle functions from your smartphone. The Premium model brings with it mahogany wood trim and heated and ventilated front seats wrapped in leather, as well as navigation and the Enform apps. At the top of the lineup is the GX 460 Luxury, which includes an adaptive suspension system, auto-dimming retractable exterior mirrors, semi-aniline leather trim, a heated steering wheel, and a rear air suspension. 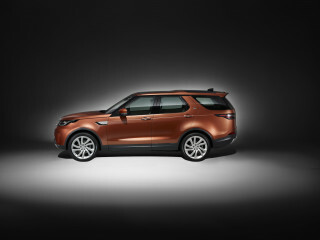 The Luxury model is available with a Mark Levinson-branded audio system with 17 speakers and twin rear-seat LCD screens. 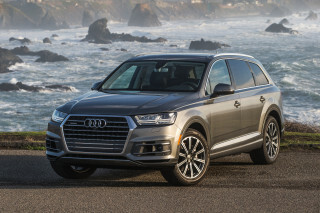 A lone option package—the Driver Support Package—includes off-road crawl control, automatic high beam headlights, lane departure alert, adaptive cruise control, and automatic emergency braking. Given that Lexus has made these features standard on the LX 570, it's a shame that they are relegated to an expensive option package on the GX 460. Newly available on Premium and Luxury models is a sport appearance package that includes unique exterior styling bits and special alloy wheels, but no functional additions. This is one thirsty SUV. 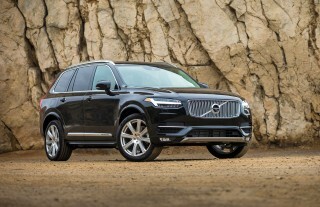 Admittedly, there are thirstier SUVs on the market. But not too many. The 2017 Lexus GX 460 comes in at a decidedly 1990s-esque 15 mpg city, 20 highway, 17 combined, and it requires premium fuel. On a positive note, in our test drives we've seen slightly better figures, which is more than we can say for most new vehicles.